“Bobo came into our lives the beginning of the summer of 2006. My Dad had passed away 3 days before his 84th birthday in January of 2006. A friend of the family came by my Mom’s house that summer and had Bobo with her and asked my Mom if she wanted Bobo. Of course my Mom, being the animal lover that we all were, said yes. The friend said Bobo was about 2 years old and had been born blind. We all fell in love with Bobo. At that time I had attributed Mom’s forgetfulness to her age, but watching her get worse, I decided to take her to a neurologist who diagnosed her with Alzheimer. 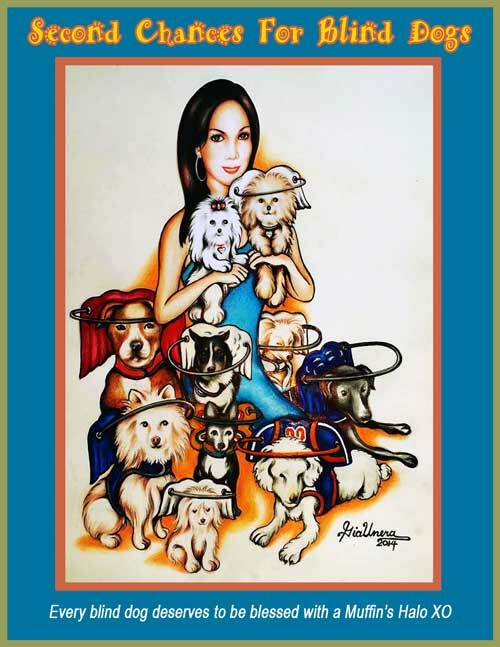 During the following years, I had became my Mom’s caregiver and during this time her biggest worry was what would happen to Bobo when she was gone. I reassured her Bobo would come live with myself and Miley, my pug/chihuahua mix little girl. Mom’s disease worsened, and in August of 2015 she developed blood poisoning and was hospitalized. Her Alzheimer had worsened to the point she had almost quit eating and thus, lost so much weight. During her hospitalization, I would bring Bobo and Miley to see her and she just was so happy to see them…more so than me, I think! Mom passed away on September 19, 2015 (this is so hard writing/reliving). I am sure Bobo went through a depression period, but has adjusted well. Me, not so much. I still see a therapist about the loss of Mom. But Bobo and Miley are my life now. Bobo does ok, as long as nothing is moved out of place. But where I have been renting has been sold, so now we are moving, and he will have to learn again. He bumps into things, and that part does not worry me much…he’s got a hard head! What does worry me is his bumping his eyes. 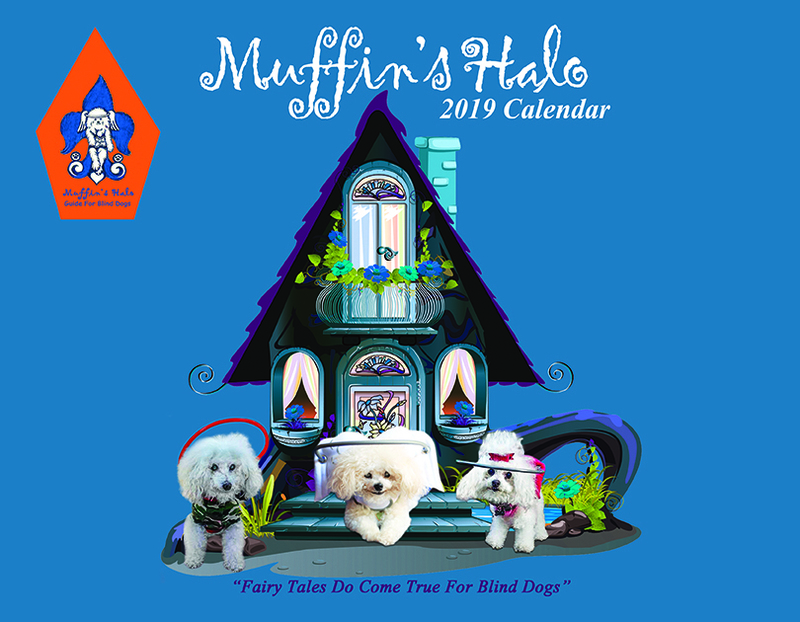 “Dear Muffins Halo for Blind Dogs “ANGEL FRIENDS”- Jack and I would like to THANK YOU for your kindness and generosity. You ALL have Blessed us beyond what I could ever Thank in a Letter. Jack is already getting used to his new help and hopefully in time he will be a little more independent again.This Blessing could not have came at a better time. “Jack started going blind about 1 year ago and his vision has gotten worse very quick. I’m not sure of the cause and percentage of sight because I can’t afford to take him to the doctor, except to clinics for shots. Jack is very loved and we are crushed to see this happen to him. “Sochi, I wanted you to be the first to know, Dazey got her halo from the mailman today! So excited to try it out. Dazey is getting a Muffin’s Halo in honor of Sochi’s 6th Birthday! That is 3 blind dogs he got to help. Dazey was diagnosed diabetic in January, before her 10th birthday. She developed cataracts and began losing her sight very quickly. We met with a visiting Veterinary Ophthalmologist from Colorado. He took Dazey back to his clinic in Colorado for emergency cataract surgery on May 1, in hopes of saving her vision. After returning home, her eye pressures continued to be very high and she seemed to have minimal vision. Over the Memorial Day weekend, Dazey’s left eye (which had been the better of the two ) deteriorated and was in danger of rupturing . A second emergency surgery was performed on May 31, by a local vet to remove her painful eyes. She has been recovering well, physically, but she does not seem to be adjusting well to her blindness. She seems confused and sad and has a hard time navigating, even in the home. “We got Star Little when she was 7 weeks old, she is a huge part of our family, she was a loving companion to my mom who suffered stage 4 cancer and my mom loved to bottle feed her. She made sure to be that same loving companion to my two little grandsons when they came to live with us. She has been through so much with us and is always right beside me. It has been so hard to watch her go blind, I’ve done research and asked her one and only vet what I should do to make sure she doesn’t bump into things. She bumped into a cupboard and it got her little eye and I’ve kept her in a cone of she to protect her from injuring herself. I’ve seen the Muffin Halos and cannot afford to buy one for her. “Hi this is Sixx and he belongs to a life long friend of mine. About a month ago just overnight he lost all his eye sight. The vet could find no reason at all for him to be blind and every time I see him now I cry my heart out. He hasn’t adjusted well and runs into everything. I have 6 dogs a cat and a Bob White bird I’m taking care of and just don’t have any extra cash to help my friend out. Sixx is very special due to the fact he saved his owner’s life during a house fire and then again he saved a boy who had stopped breathing. He was named hero dog at his vets office for a year.